PAGASA announced today, October 14, 2015, the entry of tropical storm inside the Philippine Area of Responsibility (PAR) which was given a codename "Lando". As of 2:00 P.M., the weather forecasters at PAGASA said that Bagyong Lando officially enters into the PAR and spotted at 1,440 km east of Luzon. 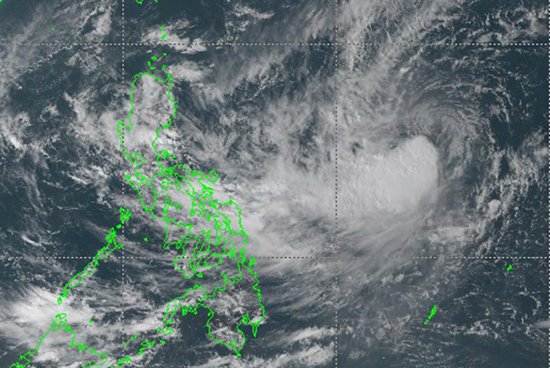 The Tropical Storm with international name "Koppu" was estimated at 1440 km East of Luzon (15.9°N, 135.0°E). According to PAGASA, "thunderstorm is affecting ‪#‎Batangas‬(Taysan,Lobo,BatangasCity) which may persist within 2 hours and most likely to affect nearby areas." Comments or suggestions about "Bagyong Lando Updates - October 14, 2015" is important to us, you may share it by using the comment box below.